The Shaftesbury Theatre is currently home to fellow state-side hit Memphis the Musical, but the multi Olivier Award-winning show is due to close in October this year, making way for Motown the Musical. Directed by Charles Randolph-Wright, Motown the Musical tells the intriguing and moving true story behind the songs that changed America, from artist such as The Temptations, Marvin Gaye, Smokey Robinson, Diana Ross, Stevie Wonder and the King of Pop, Michael Jackson. The show features classic hits such as ‘Ain’t No Mountain High Enough’ ‘What’s Going On’, ‘Dancing in the Street’, ‘I Heard It Through The Grapevine’ and over 30 other iconic Motown songs. 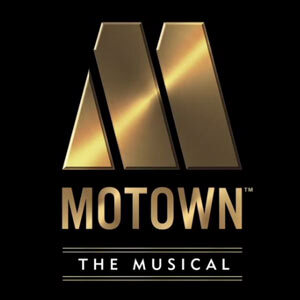 Created by infamous Motown record producer Berry Gordy, the musical enjoyed a hugely successful run on Broadway from March 2013 to January 2015 at the Lunt-Fontanne Theatre. Now the production will be greeting a new audience in the West End. There had been speculation that Motown the Musical would play at the London Palladium, but it looks like we will have to wait and see which lucky production gets to call the legendary West End venue home. Tickets for Motown the Musical go on sale tomorrow and the show is shaping up to be one of the most sought after in town. Look out for more news and casting updates for Motown the Musical coming soon. 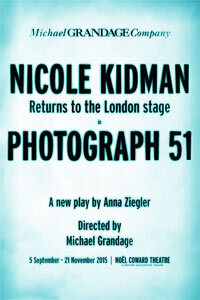 The celebrated director Michael Grandage has declared this as a vibrant time for London Theatre. It’s hard to disagree. Following the announcement that Kenneth Branagh is importing the stars of his latest film, CINDERELLA, to play ROMEO AND JULIET at the Garrick Theatre this year, Grandage has announced that he’ll bring Nicole Kidman, the star of his new film GENIUS, to London Theatre too.